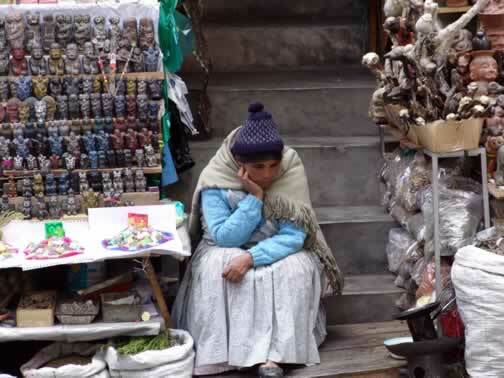 We had walked down the entire length of the Witches’ Market when we came to the vendor sitting there among her wares. It was a full service one-stop shopping experience. She had an Incan god for every occasion, herbs to cure all and llama fetuses for every room in the house. We learned that if you buried one under your home you could expect much good fortune. Sales may have not been going well this particular day.